Every aspiring entrepreneur wants his/her idea to attract attention and grow. 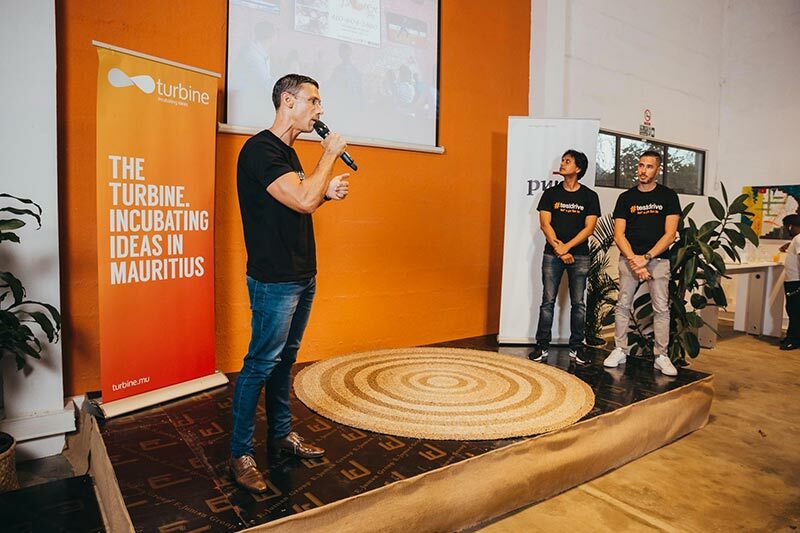 In this sense, Turbine gives a valuable opportunity to Mauritian entrepreneurs. Indeed, it enables them to participate in a pitch session which allows them to unveil their idea(s) to sponsors and potential investors. The second season of the Test Drive crowned Clean Ocean as the winner with a Rs 50 000 prize offered by PwC Mauritius on the 19th of March 2019. Keep reading this article to find out more about the programme and its participants. 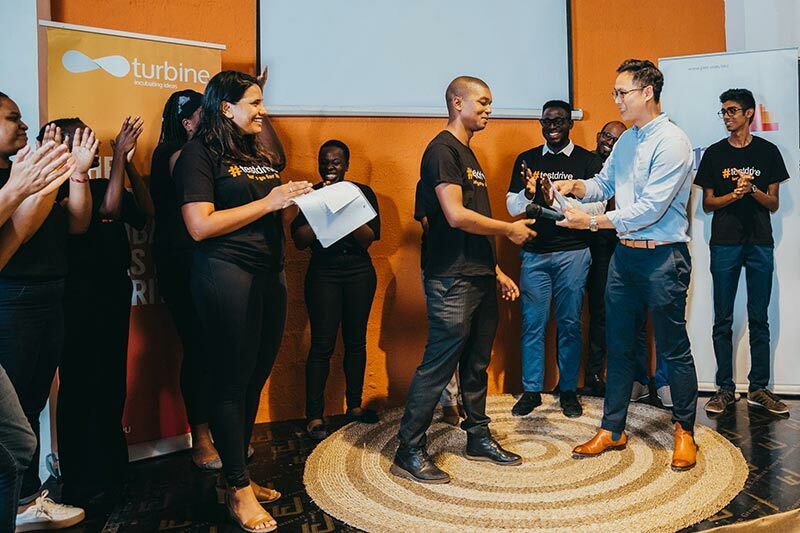 Turbine, an incubator under the ENL Group, launched the Test Drive as a high-level competition between entrepreneurs with innovative projects. The competitors were tasked to present their idea within one minute only. Of course, to win, they had to make sure their projects appealed to the jury. A questioning session followed the presentation, a part that the owner of the Clean Ocean project found particularly stressing. In this section, participants were asked to extrapolate on and/or defend their idea according to the queries of the jury. However, the difficult stages of the Test Drive allowed for a winner to be chosen amongst the many brilliant competitors. All Pitch Day participants accompanied by the Turbine team and jury members namely Olivier Ma, Sarah Boulanger and Wesley Oxenham. Suffice to say that the participants were indeed brilliant. The companies that presented their ideas in the Test Drive were extremely diverse in terms of operating sectors. Apart from Clean Ocean, Roomscout, Swap & Share, Parent Academy, E-sitters, Mod2vi, Soursop, Rwazi, MauProbleme, Momanzer, One Urban Garden, Get Famous, Vehicle Service Plan, Sweat and Laugh, Tablier/Sabliers, InTouch, Feelocal, HerDeals and Data Vector all took part in the competition. Amongst these businesses, Mod2vi and Roomscout also shone alongside Clean Ocean as runner ups. Turbine’s latest graduates, Fundkiss Technologies Limited, AVR Plato Technology Limited and Fancy Dreams Limited, were also handed their certificates on that day. 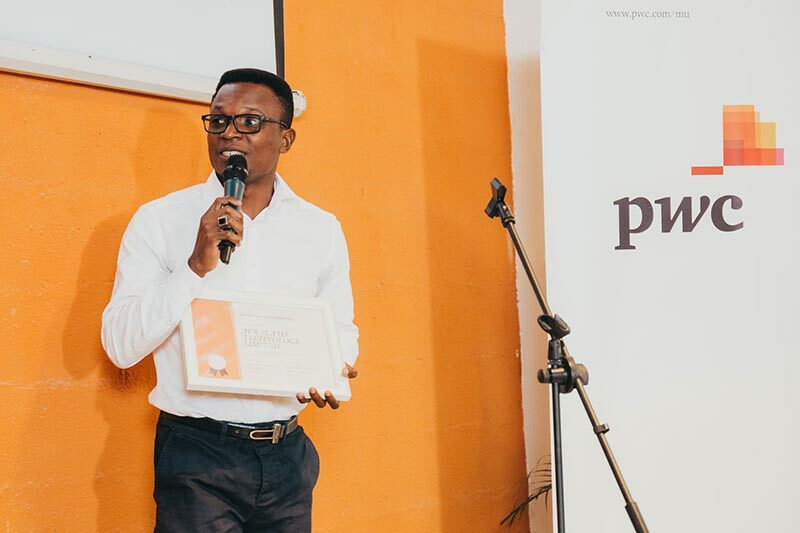 Hector Noel presenting the Fundkiss Technologies Limited team with their graduation certificate for the Turbine Incubation Programme. Finally, it is time to introduce the winner of this year’s Test Drive. Rick Bonnier, the young man behind the Clean Ocean project, succeeded in making his project shine the brightest in front of the jury. He presented a robot capable of sensing plastic while both at the surface of a body of water or within its depths. 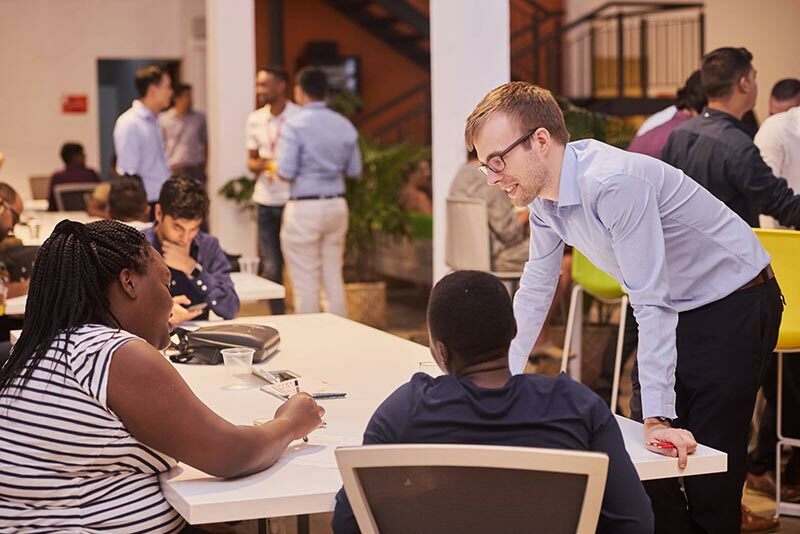 An idea which boasts both innovation and an ecological initiative, Clean Ocean was attributed a cheque worth Rs 50 000 by Olivier Ma, Partner at PwC Mauritius and the 2019 Test Drive sponsor. Rick Bonnier is positive about using his reward to further his work on his robot. One of the improvements that he mentioned is the addition of a solar panel to the machine. To conclude, while the Test Drive demands companies to compete against each other for the prize, it also brings them together. Entrepreneurship can be a very tough path to follow. As Rick Bonnier says, “I have met many nice people and above all, [the Test Drive] allowed me to converse with people who are living through the same experiences I am. It’s comforting to know that I’m not the only one who wants to start my own business”. Mauritius is sure to hear more about Clean Ocean and all the other businesses that participated in the competition in the days, months and years to come. Turbine is glad to introduce Aysha Julie who recently joined Turbine as a Start-up coach. Aysha is coaching Jason Delorie and Eva Graham, founders of ConnectMe, and Jade Li, founder of Katapult. We are excited to see the pathway that Aysha make with these two startuppers to help them build successful and sustainable businesses. Aysha shares her story with us! I’m Aysha Julie, I’m a business coach at Turbine. I am also an entrepreneur who has set up and ran businesses in the UK. Tell us about your entrepreneurial journey and your experience with entrepreneurs and start-ups so far. My entrepreneurial journey started as a child when I would play shops and markets with my sisters and friends, selling them stuff that they didn’t need and may have been theirs to start with! At college and university, I made extra money by running events and doing beauty workshops. I always knew I wanted to work for myself and I did not like the idea of working for someone else for little money and little reward. My first jobs were for small PR agencies run by the founder with a small team, I saw how to set up and run a PR and how much money could be made with the right clients. At the age of 22 I set up my own PR and celebrity booking agency with ‘friend/colleague’, we secured a number of good clients and rented a small shoebox of an office on Harley Street in London and although we worked together well to start with our visions for the business were very different as were the amount of hours we thought we should put in. I was working very long days but my partner would turn up whenever she felt like it and this led to a breakdown in our communication, she then decided she deserved more shares than me because she bought in a new client. It was at this point I said ‘ this isn’t working for me, just buy me out’ and she did. It was enough to buy me a few plane tickets and some time to travel. I then took a job with the NHS (National Health Service in the UK) working with young people to design and create a health service for them – human-centered designed. We created a great product that was hailed as a national example of good practice and innovation – I spoke at conferences and provided consultancy about the scaling of the project to other areas. I then left the job and started to do consultancy bringing my expertise to the public sector and NGOs to help them to develop services and campaigns based on the needs of their users, be more effective and talk to their audiences better. In 2007 I had my first child while being a self-employed consultant, this was one of the toughest things about being an entrepreneur but also one of the most rewarding. I went back to work when my daughter was only 3 months old but it was for only one day a week so it gave me the flexibility to still work and do what I loved but also the opportunity to spend time with my baby. For baby number 2 I went back to the NHS for some job security and 1 year paid maternity leave, being employed by one of the world’s biggest employers provided me with great experiences, learning, and connections. In 2012 I decided I wanted to spend more time with my children and do something I really cared about, I sat down with my husband who was also dissatisfied with his job so we decided to set up a social enterprise that provided health and wellbeing services for young people who were overlooked by mainstream services. We created a number of projects and programmes that we co-designed with young people, we started by running a few small projects to prove the concept. These were successful and impactful and we were commissioned to develop them further by several local authorities and NHS trusts. The company is still running today we have worked with over 4500 young people to positively impact their lives. For me being an entrepreneur provides me with freedom; the freedom to chose the hours I work, freedom to spend time with children, to chose the clients I work with and the type of work I do. However being an entrepreneur often means being all things – HR, accountant, sales manager etc, it can also mean working weekends and evenings but for me, the rewards outweigh anything negative and I’d never change it. 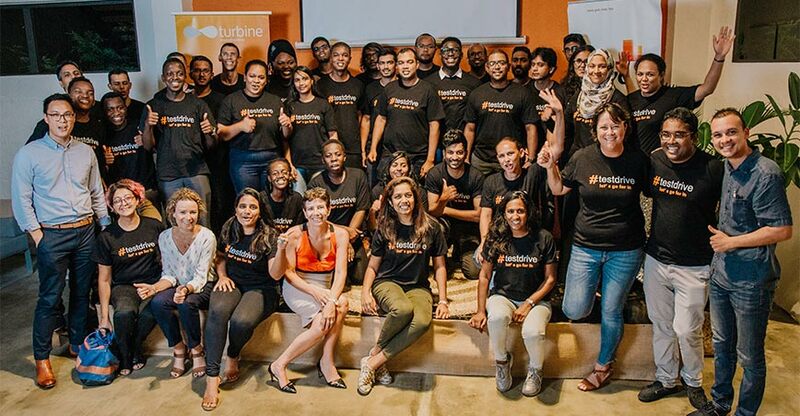 How can you help Turbine’s and other start-ups/entrepreneurs? I am an experienced coach, I’m also an entrepreneur with a wide range of experience covering a variety of sectors. I love supporting entrepreneurs to explore their business ideas and how they can develop them. As an entrepreneur, I’ve had highs and lows and lots of challenges that I’ve overcome so I am well positioned to support other entrepreneurs. I’ve had successes and failures and learned a lot throughout my journey. Together with Turbine, what do you envision to bring for the start-up world/ecosystem? 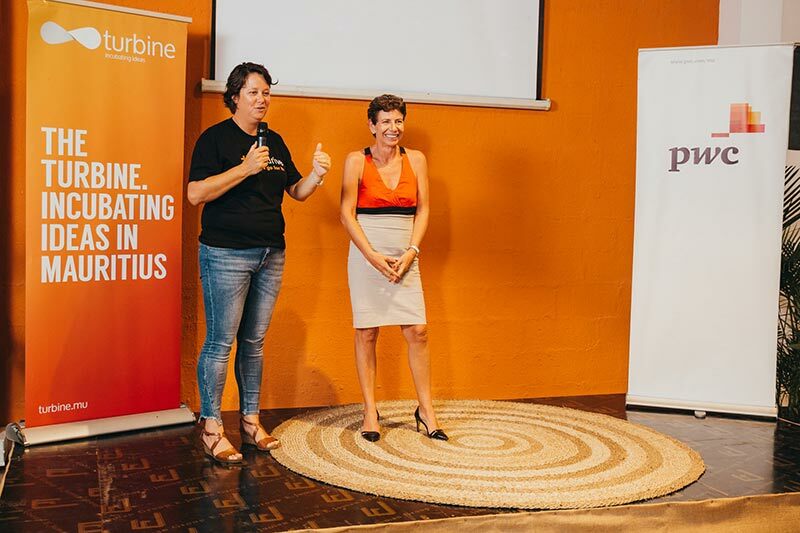 Turbine is innovating and incubating some very exciting start-ups so I am delighted to join Turbine on this journey to support entrepreneurs to bring their businesses to life. 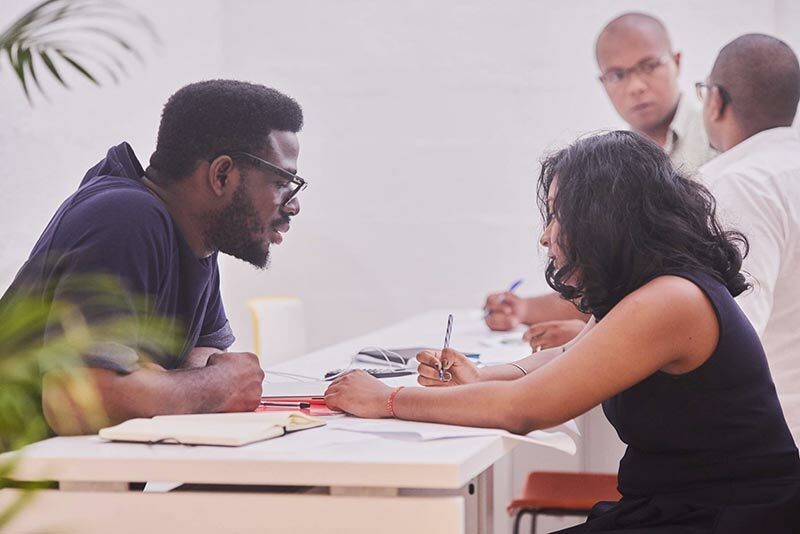 Turbine is a great place for start-ups, there is so much expertise within the team to support entrepreneurs develop and test their ideas, so if you are an aspiring entrepreneur come and speak to us. 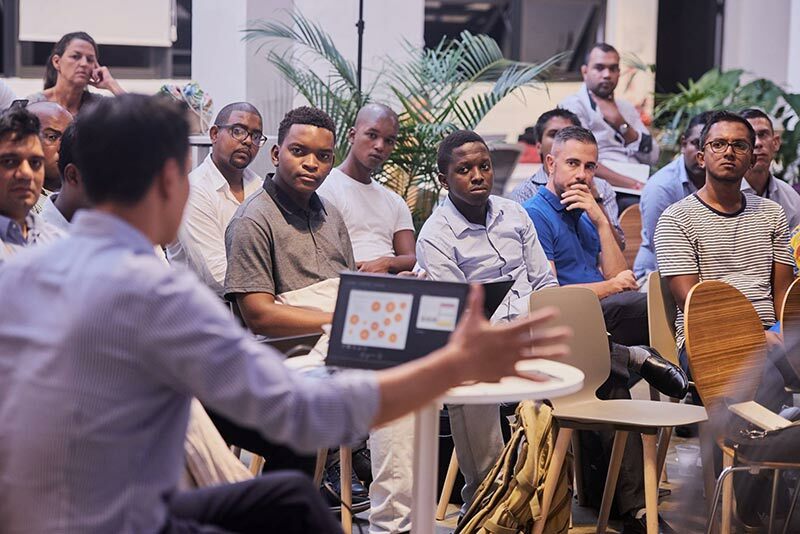 Although Mauritius is a small island, there is so much potential to help entrepreneurs to develop an innovative and scalable business that will have a positive impact on the economy here, but also pan-Africa and globally. Turbine is the catalyst that will help the entrepreneurs to bring these ideas and business to fruition. Failure is only a failure if you fail to pick yourself up and learn from why you failed. After the successful completion of the Turbine Test Drive 2018 in last October, four start-ups have joined the Turbine’s Incubation programme in January 2019. 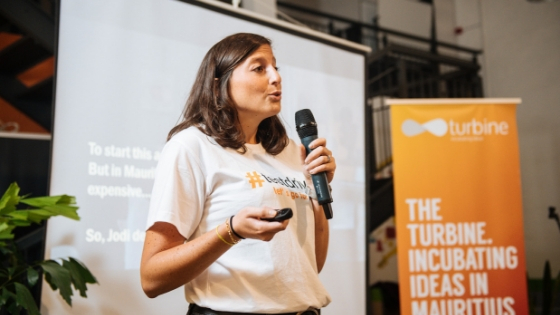 These start-ups are Friend’livery, Katapult, Connectme and Feuilles et fleurs. The Incubation program of Turbine lasts 12 months. During this time, the incubated start-ups benefits from free co-working seats, weekly business coaching with a dedicated coach, 30 hours of free access to experts in Marketing, Finance, Legal and more, access to Turbine’s network, media exposure via Turbine’s platform and press partners, tailor-made workshops among others. Turbine in return takes 10% of equity from each incubated start-up, the aim is to finance our operations costs and support other projects in the future. Our mission is to support start-ups and give them the tools and support they need for the pre-launch, start or scale their business. We help entrepreneurs to better follow their respective milestone plan and identify new solutions for their challenges. 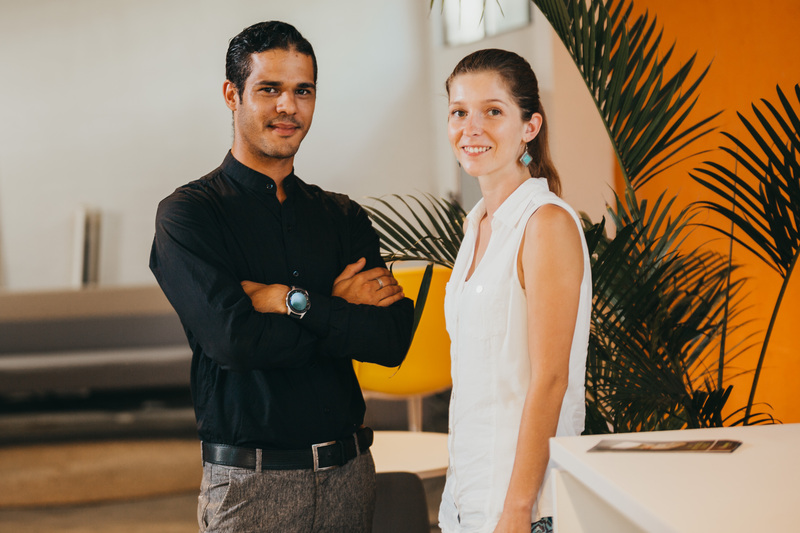 Turbine is supported by the ENL Group and accredited by the Mauritius Research Council, under the National SME Incubator Scheme (NSIS). Friend’livery is a crowdshipping platform with the objective of connecting travelers with people who need to receive or send something that travelers could ship. This start-up allows you to receive and send products anywhere in the world. Founded by Yohanna Laroque, friend’livery was recently launched and already has an active community of more than 500 Facebook members. 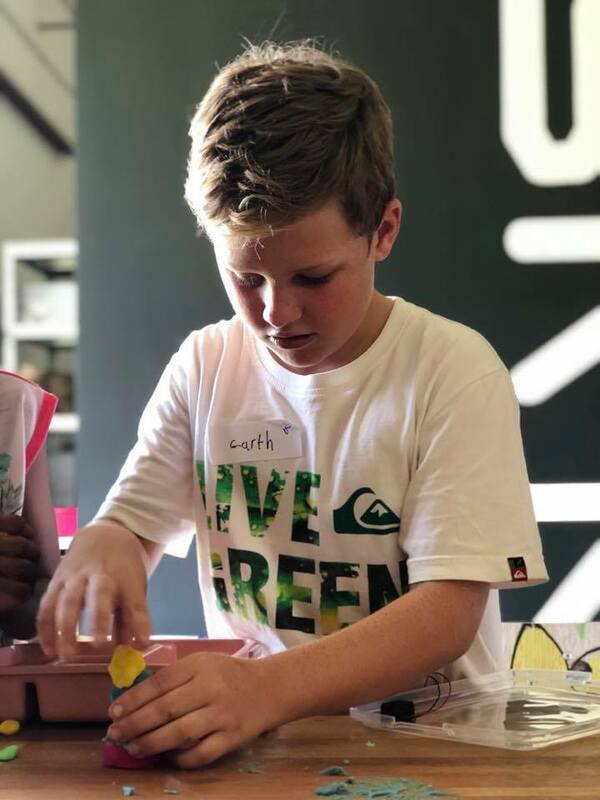 Katapult is an initiative to encourage young people to get involved in STEAM (Science, Technology, Engineering, Arts and mathematics). 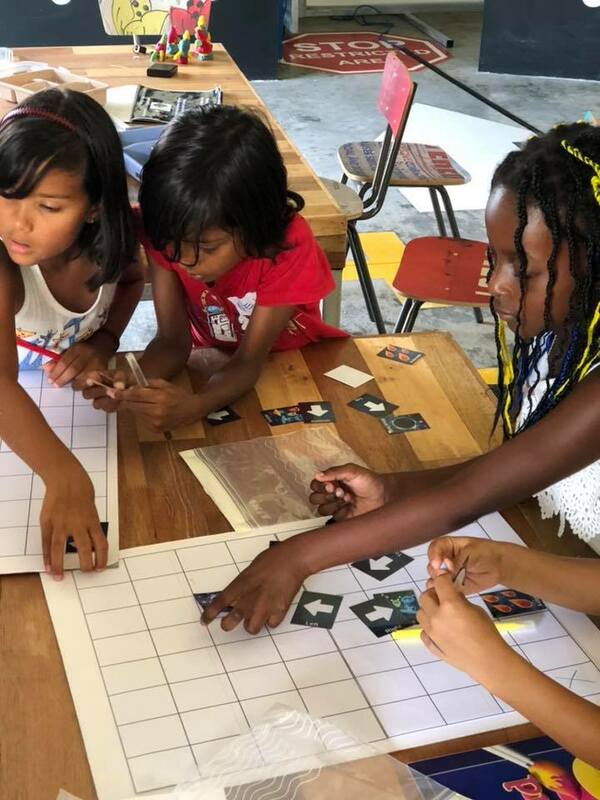 Founded by Jade Li, this start-up offers game-based learning experiences in robotics and coding to develop the computational thinking of children, but above all to show them that they can really change the world. Jade organizes various workshops incorporating games, storytelling and real-life applications that make them as interactive as possible. Connectme is a start-up that enhances the way to search, evaluate and book services. It is an easy-to-use platform that allows users to search effectively for service providers. The founders, Jason Delorie and Eva Graham, are currently building their first product tutor.me, a platform linking students, parents and guardians with clear and concise information and various benefits. The team is currently reaching out to teachers who wish to be part of this community. Feuilles et Fleurs, founded by Nathalie Daruty, is a start-up that offers natural, local and good quality products. Nathalie cultivates her plants and packs her products in the most respectful manner to preserve their benefits. She also organizes various workshops to share her knowledge and help people create their own cosmetics and cleaning products. Nathalie’s creations today include twelve varieties of infusions namely turmeric powder, moringa powder, bulk raw dried plants, massage balls (Siam buffer), sage-based purification fagots. 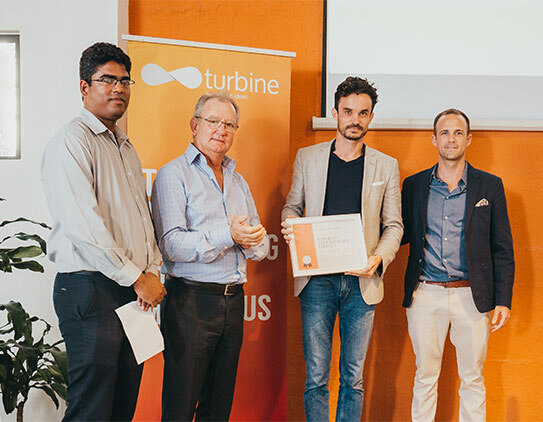 Turbine celebrated the on-boarding of its 4 new incubated start-ups last week at Vivéa Business Park with the presence of Turbine’s partners, experts and business coaches. Turbine is proud to have by its side strong key people of the entrepreneurial ecosystem and sincerely thanks all of them for continuously believing in Turbine’s mission. The Turbine team is all set to start this journey with the newly incubated start-ups and looks forward to see them strive and thrive into successful and sustainable enterprises. Connectme is a start-up that provides a platform to better search, evaluate and book services and is proudly being incubated by Turbine. Jason Delorie, Co-Founder of Connectme, shares how his entrepreneurial journey started. I am Jason. I have always had a love for creative problem solving. I enjoy looking at things from a different perspective to come up with innovative, simple solutions. Ever since I was young, I was constantly telling my parents about my many ideas. From motorised roller blades at the age of 8, to The Seatcase (a suitcase you could comfortably sit on when queuing) when I was 11. As I got older and realised that my passion was to one day bring these ideas to life, I enrolled in University to study entrepreneurship. I learnt, amongst many other things, that everyone has great ideas but what makes the difference is the business behind them. I then spent the next few years focusing on making ends meet, starting my career washing dishes in the F&B industry to becoming a manger at several prestigious events such as the Winter Olympics in Russia, the Commonwealth Games and Ryder Cup. I then made the life changing decision to move to Mauritius in 2015, starting as a business development consultant to recently being appointed innovation co-ordinator of the ENL Group. Although there have definitely been challenges, I haven’t looked back! As an expat in Mauritius, I was filled with exhilaration, excitement, uncertainty and well, fear. An intense cocktail of emotion that spiked my adrenaline and curiosity daily. As life settled and the mundane took over, all the usual stresses of the world set in. My shower broke, ‘Where do I get a plumber?’ Not knowing where to even start looking, I was faced with several weeks of cold showers before I was able to find a, not so reputable plumber, through word of mouth. Then of course, the electrics blow! I once again suffered trying to find an electrician to come to the house. The pain of going through the same issues again and again, over several different service providers, was the birth of Connectme. There has to be a better way to search, evaluate and book services. And that became mine and my co-founder’s mission. We are creating an easy to use platform which enables users to search for service providers while focusing on what is important to them; whether it is price, location, availability etc. We want the user to evaluate and compare profiles by using testimonies and ratings for each service provider, thus giving them peace of mind that they’ve found the right person. The user would then be able to check availability, book and pay, all in one place. As we experienced the same issues in almost every service industry, from plumbers to tutors, we understood the need to develop a separate website for each niche. This enables users to have a more specified and targeted experience of searching and quoting, while knowing an industry expert has vetted each service provider. 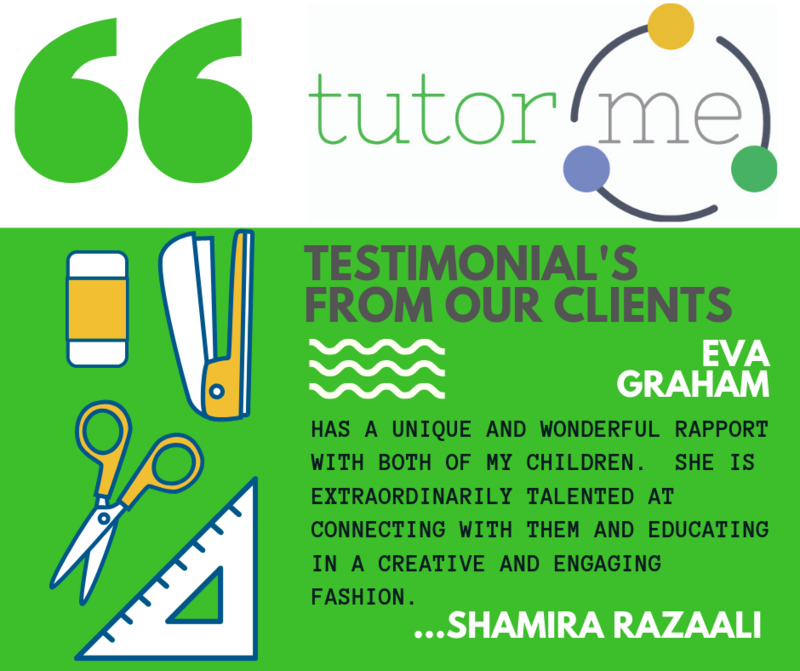 As my co-founder, Eva Graham, is an experienced teacher and tutor with first-hand experience of the issues mentioned above, we turned to the prevalent tuition industry for our first product/website, tutorme.mu. Further research has proven that such issues are wide spread within this profitable industry. My niece at the time was needing some specialized extra support, but her mother was unable to find anyone with the required experience. Like any parent, she was worried about making the best decision for her child, to not compromise her child’s education. Our goal at tutorme.mu is to give parents and students peace of mind, knowing that they have made an informed decision that was right for their specific needs. Not only do we want to give parents and/or students a better user experience by saving them time and providing trust, we also want to offer benefits for each tutor that signs on, to address the pains tutors face in the industry. Among other features, we will help tutors advertise their services, organise and schedule their time, and ensure they receive payments on time and in full. Allowing them to focus on what they do best, teach! Tell us about your journey with Turbine. This business idea became a reality when we entered the Testdrive program at La Turbine. Participation in the test-drive gave budding entrepreneurs, like ourselves, free access to tools and start-up knowledge, enabling us to test the viability of our idea with the added bonus of possible incubation. Through this experience we received vital advice from entrepreneurs who have walked this road before, the stuff you can’t read in a textbook. 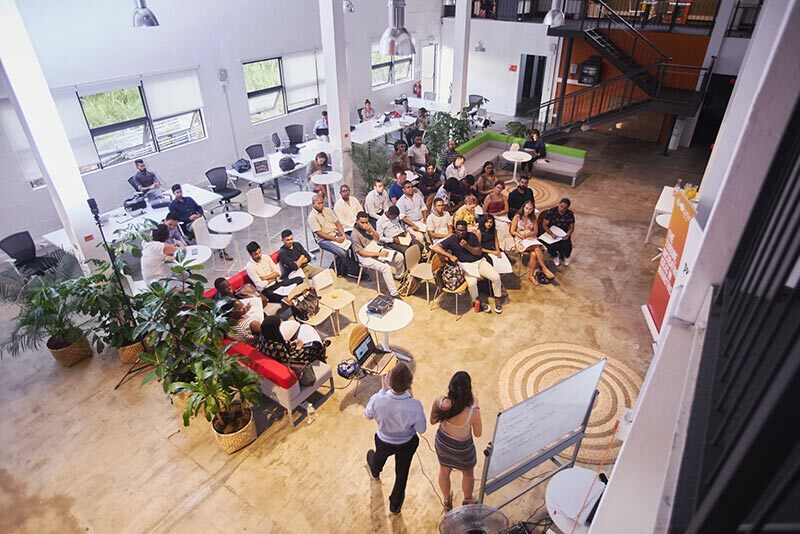 From workshops on how to take advantage of free software and the many tools out there, to getting your potential customers involved and engaged from the start, as well as learning about how it all works in the Mauritian context. 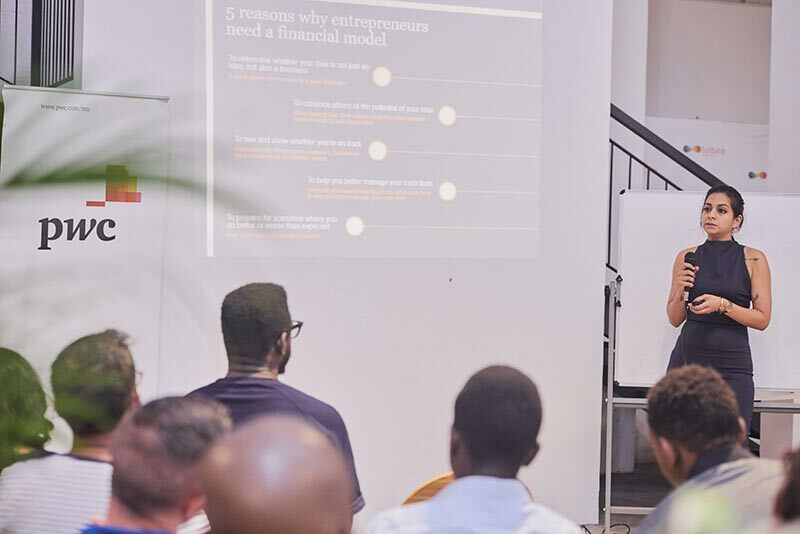 The advice and direction proved to be invaluable and we were lucky enough to be offered incubation for Connectme, after a final pitch day where all contestants had the chance to pitch their business to industry leaders and potential investors. Jason and Eva pitch for Connectme! After incorporating our company in January, we are now well on our way with our Connectme journey. We have been engaging with our tutorme.mu customers and education experts to develop our first website. Our journey is about to hit its first big milestone by launching to the public in the next few months and we are excited to start delivering on our mission. For now, you can check us out on Facebook and Instagram. 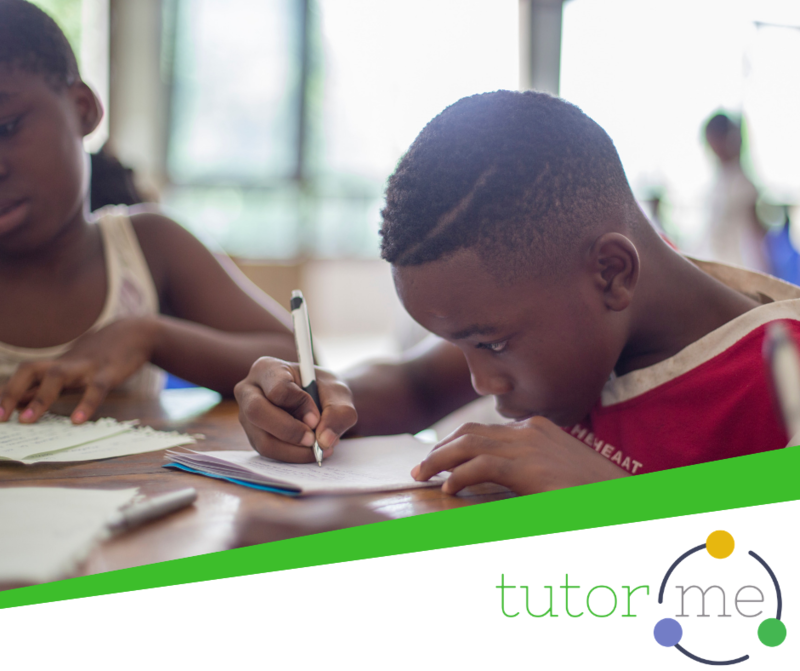 We are currently seeking tutors interested in pre-sign up and being a part of the tutorme.mu. community. If you sign on before 1st of April we are offering a deal of 6 months free premium membership (with a value of over Rs 3,000). Premium services include free promotional advertising, free invoicing tools to track your payments and access to shared resources (such as lesson plan templates), on top of all the features of a regular tutorme.mu account. For further information click on the link bellow. If you would like to get involved and share your insight regarding any potential industry for connectme, please do not hesitate to contact us. Friend’livery is one of Turbine‘s new incubated start-ups. Turbine has the pleasure to be part of the journey of this start-up whose mission is to turn all travellers into deliverers. Yohanna Laroque, founder of Friend’livery shares her story with us. Tell us about you and how you started your entrepreneurial journey. “I am Yohanna, I am French, and I have moved to Mauritius in November 2015 with my husband. During my first year there, I realized I missed a lot of products I was used to buying in France. I had a few choices: change my habits, order online or wait for friends and family to visit. I did change my habits for few products. For the rest, I tried to order online, but it wasn’t an efficient solution because of the high shipping costs, the tax amounts, and the delay of delivery. So, when my parents and friends would come visit, I would order online, ship to their houses in France, and they would pack my orders in their suitcases. And I saw a lot of people, expats and Mauritians, do the same with their own families and friends. And that is when it hit me! Why do we have to wait for family and friends to travel when there are millions of daily travellers who could deliver our orders for us? In addition, I have always wanted to become an entrepreneur, to create a project that would be useful to people, to work on my own terms. But I waited for the idea and the right moment to take the leap! And this is now! That’s how Friend’livery was born! Friend’livery is a crowdshipping platform whose objective is to connect travellers, with people who need to receive or send something the travellers could ship. Thus, people can receive and send anything, anywhere in the world. For example, your children are studying abroad, and you wish to send them a taste of home? You are an expat and your favourite brand of cosmetics doesn’t exist locally? You are a sport addict, but you cannot find technical equipment at a convenient price? One solution: ask a traveller. And for travellers, this is a great way to give a hand and meet local people. They will also be rewarded so that they will save money during their trip. Below is a member of Friend’livery community, a French traveller Pierre-Emmanuel, who was on holiday in Vietnam. He saw the request of Ha Le, a Vietnamese girl living in Paris, who needed a parcel from her parents in Vietnam. Pierre-Emmanuel became one of the first Friend’liverers! Traveller Pierre-Emmanuel with Ha Le's parents in Vietnam. 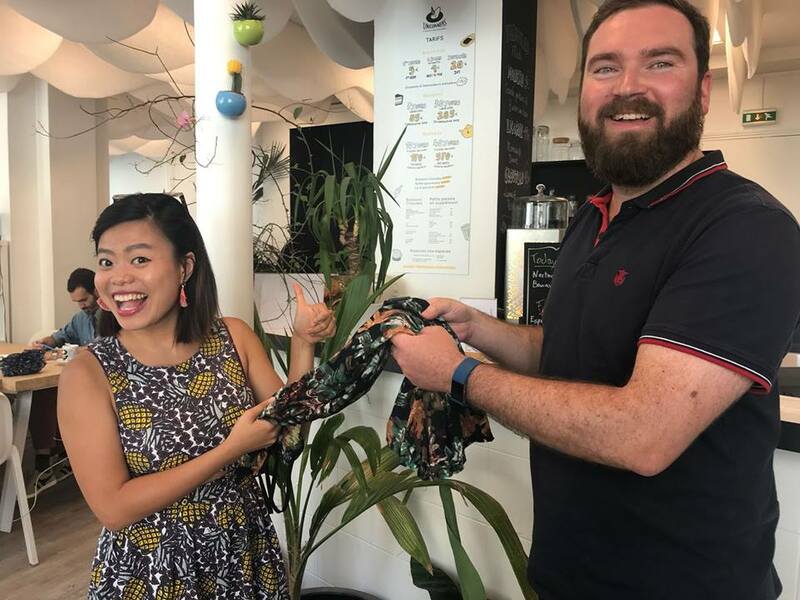 Soon after, traveller Pierre-Emmanuel is back in Paris and hands over to Ha Le her lovely parcel! The concept of crowdshipping is quite new, especially in Mauritius! That’s why the challenge for the next months is to raise awareness through digital marketing and social media. I have created Friend’livery Facebook, Instagram and Youtube accounts where I will post articles, videos, pictures to make sure people understand Friend’livery. It is essential people feel comfortable using it, and spread the word around them in Mauritius and abroad! In parallel, I will be working on web and mobile applications, to improve the user experience, since today, all requests and transactions go through Facebook and the group Friend’livery Community. How Turbine supported this journey so far? I must say, reaching out to Turbine has been a great decision for me. A friend of mine recommended Turbine and I sent an email in March 2018 to Diane Maigrot, the Start-up and Business Growth manager, and she answered very quickly. Soon after, I met with Diane and got a great impression! So I started to use the Co-working space ; it was good to be able to work in a professional environment, at a reasonable price! And I had a lot of fun during the lunch break with the other co-workers ! I was eventually selected to participate in the Test Drive program in September 2018. It was the opportunity to meet other entrepreneurs, experts, learn tips and tools for start-ups. I also made good friends there! And recently, I started the Incubation process. The incubation is very important to me, especially the weekly coaching and the available experts. Indeed, I am working alone, which I am not used to, so this enables me to challenge my ideas and stay focused on priorities. Friend’livery has grown so much in a year, I have learnt a lot in this passed year as well. Despite the difficulties I will meet, I am so proud to work on my own project now. It makes me feel so passionate and alive. Turbine has the immense pleasure to incubate Katapult, a start-up promoting game-based learning experiences in robotics and coding. Jade Li, Founder of Katapult shares her new journey with us. Jade, tell us about you and why you have started this new venture. I like to think of myself as a maker, I make things to solve problems. I’ve always liked to make things with my hands as a kid. I would make personalized greeting cards, I would recycle my jeans to make bags and I loved watching DIY videos. When it came time for me to go to university, it felt right to go into engineering because I wanted to solve the problems and challenges of the world. I studied Bioengineering at Imperial College London and then went on to work in the medical device industry in Mauritius. As a working adult, I realized that the majority of people are not comfortable with the idea of change and that most of them never really challenge the way things are. In my quest to solve this problem, I have found that what our country lacks is a culture of innovation. As kids, we are all curious and we ask all kinds of questions. However in the Mauritian culture, where failure is a taboo, adults are often afraid of asking questions and they lose this curiosity. I began to question myself: how can adults keep this child-like wonder? and how can we incorporate this culture of innovation to the Mauritian culture? As I dug deeper, I began to analyse the Mauritian education system. The teacher to student ratio is on average 1:40 and often children don’t get the attention they need to learn properly. I went to school in Mauritius, I learned mostly alphabets and numbers and I never questioned it. But today as an adult working in Mauritius, I realize that me and my fellow classmates never learned to think critically. The more I talked to people from other countries, I realized that they also had a similar experience with school. This is why I believe that innovation starts in the playroom. If we can get children interested and curious about solving problems, that would be a great start. We can then cultivate this interest to empower them to become future problem-solvers and change-makers. I started Katapult to address this gap in our education system. 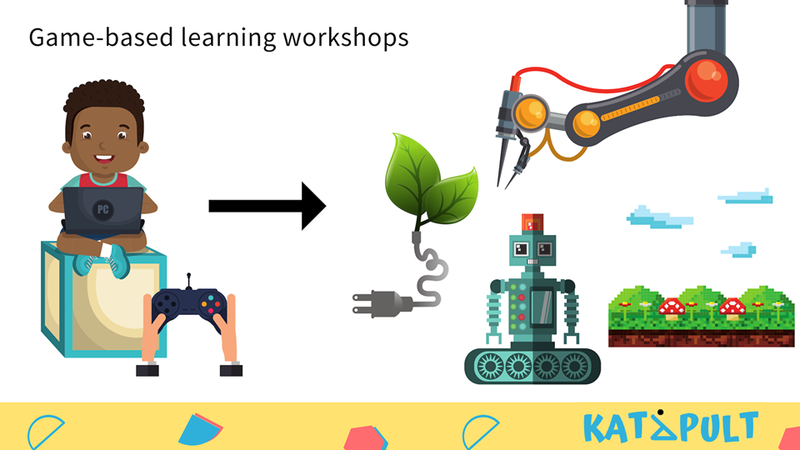 Katapult provides game-based learning experiences in robotics and coding to develop the children’s computational thinking but most importantly to show them that they can actually change the world. Katapult is also an initiative to encourage young people to go into STEAM (Science, Technology, Engineering, Arts and Mathematics). Kids learning about electricity with conductive dough, LEDs, batteries and buzzers. Learning about the basics of code with the help of board game. If you are in the age range 7-18, then Katapult is for you. At Katapult, we believe in learning by doing and playing. We try to make our workshops as interactive as possible. We incorporate games, storytelling and real-life applications in our sessions. We encourage the children to be curious and to ask as many questions as they want. We also encourage them to experiment and test any idea they might have. Share with us your experiences with Turbine till now. I’ve had this idea for two years now and I never really knew how or where to start. With the Test Drive programme, it was the perfect opportunity to test if the idea could be a viable business. By going through this programme, I came to experience what a supportive community Turbine is and I felt that I needed this to start my business. This is what initially drew me to Turbine and I am now on the Incubation programme. I like the structure that it gives me. I feel that without structure, that is goals and deadlines, we can accomplish so much and nothing at the same time. Every week, I meet with my coach Aysha to discuss the path to achieve my goals for the year. We define the tasks that I need to do for the week and we discuss if my business is actually going in the direction that I want it to. This has been very helpful in my entrepreneurial journey. I also like the diversity of people that I get to meet at Turbine. It is very inspiring and exciting to meet the people who might change how the world is now! Tell us about your future plans for Katapult. The upcoming plans for Katapult are to develop more workshops and to deliver them in different regions of the island. I would also like to have workshops that tackle a broad range of fields like space exploration, agriculture, medicine, and even transport! On the 16 February, I will host a workshop at Turbine called Thirsty Meter. Children from 7 to 11 will be able to build their own plant moisture sensor so they know when to water their plants. How can people keep in touch with Katapult?